To Order, simply add items to your ‘cart’, create your user profile during check out, and we will handle the rest. All products will be available for pick-up within the pro shop. If you need them shipped, please let us know in the ‘notes’ section during checkout. Discover Unlimited Golf at Mallard Creek, Pine Brook, Briarwood and Dragon Ranch from now through all of 2019. Spots are limited – Join today! There’s no need to limit yourself when you purchase a 2019 Unlimited Range Pass today. Don’t miss out on unbelievable savings! Give the gift of golf with a Fairways Golf Gift Card! Good at Mallard Creek, Dragon Ranch, Briarwood and Pine Brook, you can’t go wrong! 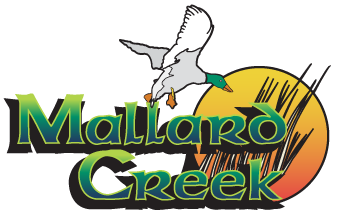 Get in on the fun with any of our various golf outings at Mallard Creek! You can sign up online, over the phone at (440) 748-8231 or in the Pro Shop. From Junior golf programs and camps to adult level clinics, there’s something for golfers of all kinds to improve their game this season here at Mallard Creek!